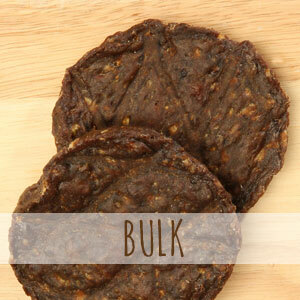 4-inch BEEF BURGERS Bulk (60 Count) – Longer lasting treat. Case contains sixty – 4″ beef burgers. 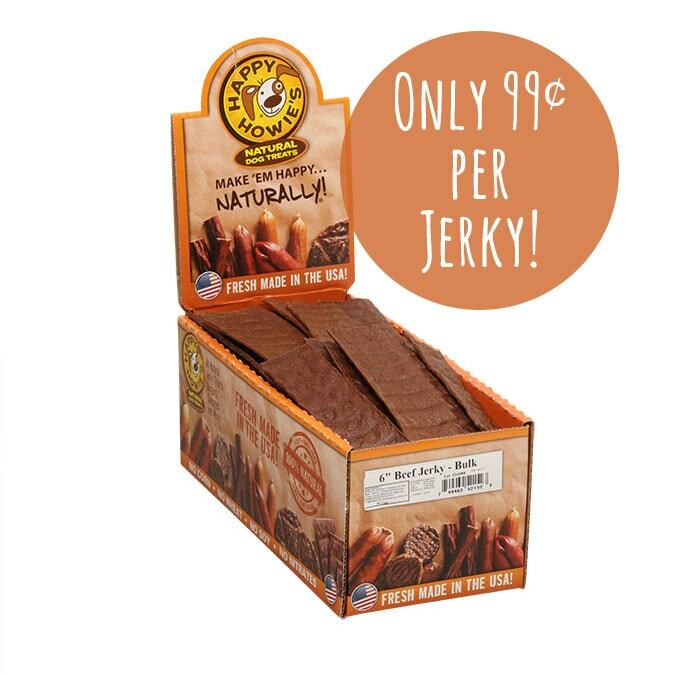 All bulk products qualify for FREE shipping! 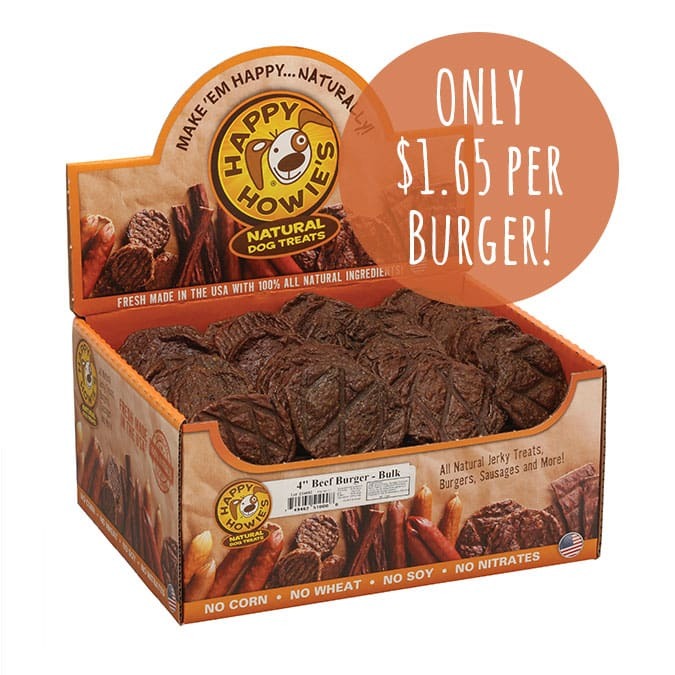 4-inch BEEF BURGERS Bulk (60 Count) – Our premium beefy 4″ Burger treats are slow-cooked with gluten-free rice flour and grass-fed cattle raised in the USA. These longer lasting patty treats are an excellent way to reward your large-breed dog that loves to chew. Only $1.65 per burger. Ingredients: Beef, Rice Flour, Sodium Lactate, Salt, Dried Cultured Skim Milk, Garlic, Silicon Dioxide, Citric Acid, Mixed Tocopherols (a preservative), Vegetable Oil, Rosemary Extract. Made in the USA! The lady at our feed store here in Texas has a huge jar of these on her desk. My dog’s love them. They have a wonderful charbroiled smell. 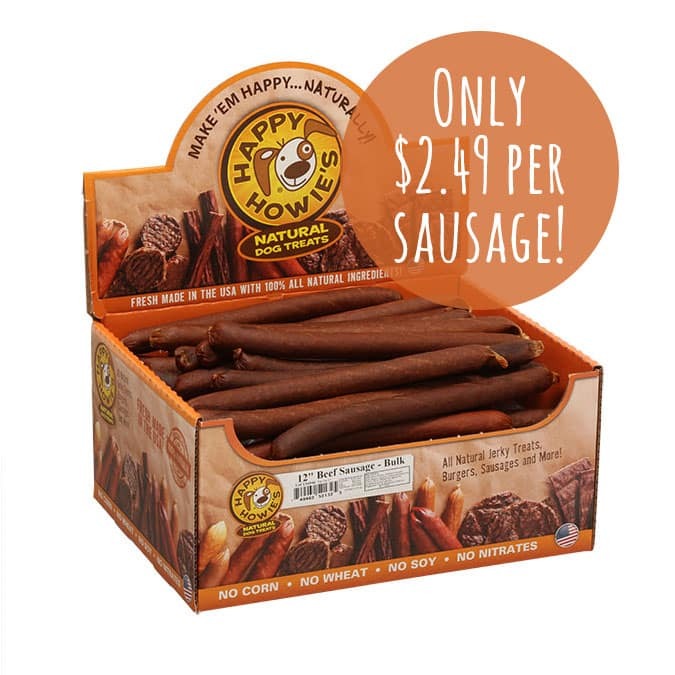 One day when I was at the feed store I wrote down the name that was on the jar – “HAPPY HOWIE’S”. Since then I bought them through Happy Howie’s only once. Now, I’m going to buy the 60 count Big Bulk. They are wonderful. I got one in my Bark Box this month and since I have two dogs and only one treat that I was not able to divide, I took it to my hair dressers dog. She loved it. I have a treat I take her when I go that she really likes, but she ate the burger first. My dogs absolutely love these! The older one wouldn’t chew most things and her teeth were getting tarter buildup. She loves to chew these and her teeth are cleaner now. 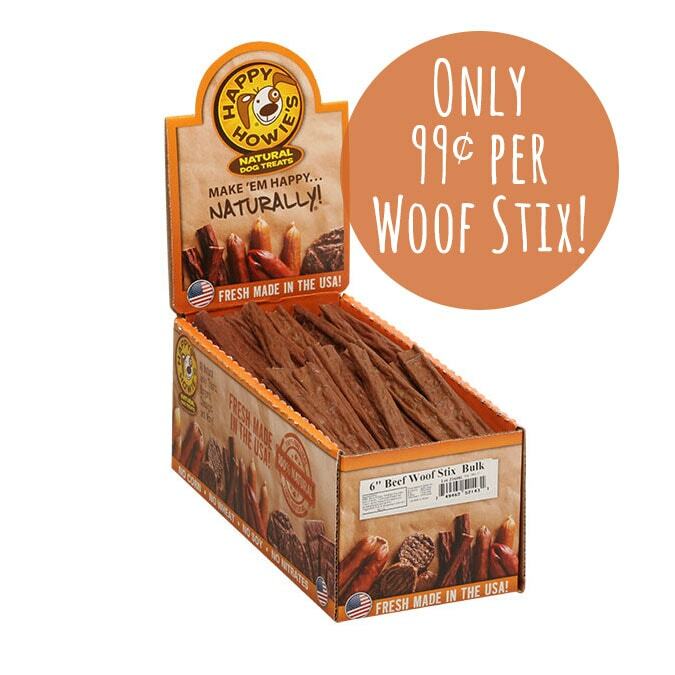 My pup loves these treats! Leaves him licking his lips and wanting more!